Hole nine is a tough golf hole. The tee shot is relatively open; however, the driving range stripes the right side of the fairway. 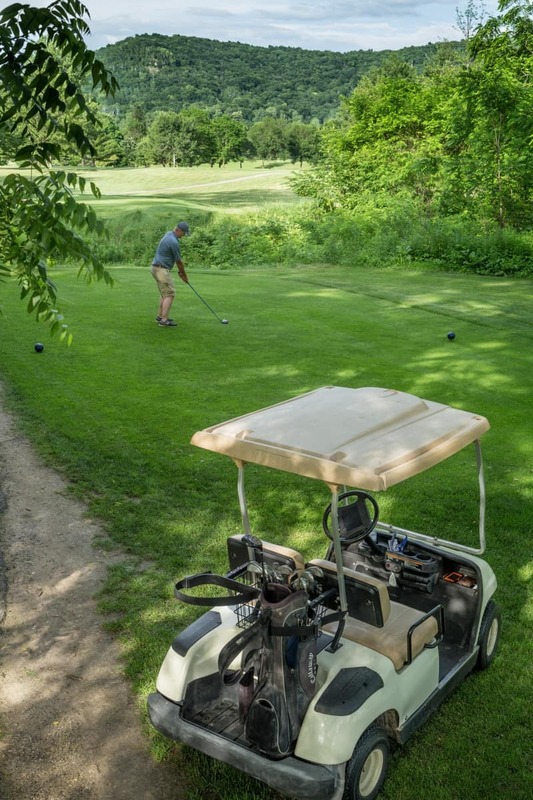 A long drive is crucial if you want a good look at the green on your second shot. The average player will probably hit an 8 or 7 iron into the green. The green adds to this hole’s challenging nature. The green has two tiers and slopes severely from back to front. A long birdie put can easily turn into a three putt bogey if you are not careful.